Migesco offer welcome deposit bonus between 100% to 120% depends on your first deposit amount. This offer is valid for all new clients. The bonus could be received after minimum deposit of $50 for 100% bonus and minimum deposit of $1000 for 120% bonus. This promotion is good, because If you deposit more, you will receive more bonus! Migesco is binary options broker established in 2012 with office in London, Great Britain. The broker is regulated by Financial Market Relations Regulation Center (FMRRC). The minimum deposit amount is only $5, as the minimum trade size is $1. With this binary options broker traders could receive payouts up to 80% for the classic options, as clients could trade options such as Up/Down, Turbo, Touch, and Range. Trading assets for binary trading include commodities, metals, shares, stock indices and currencies. 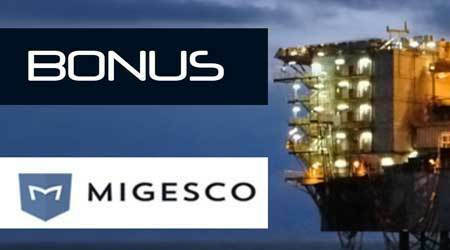 To use your bonus you must activate them in MyMigesco. This Promotion is valid for all new clients only which are fully verified. The Bonus will be expired after one month by activation. Please contact with Migesco support for more information about required turnover. Migesco reserve the rights to cancel the bonus at any time.